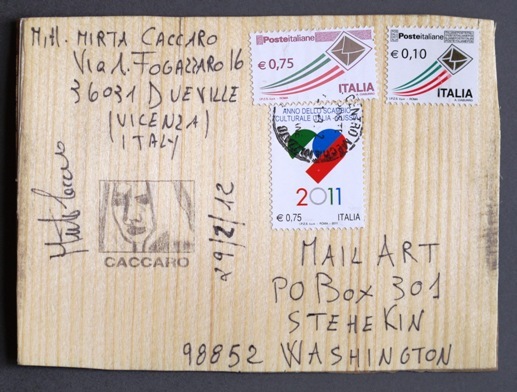 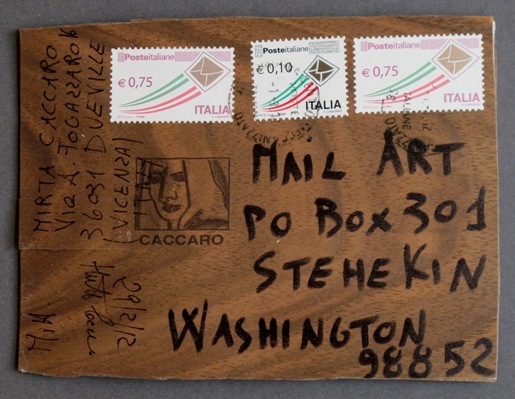 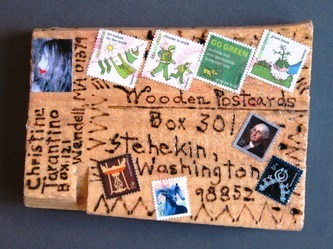 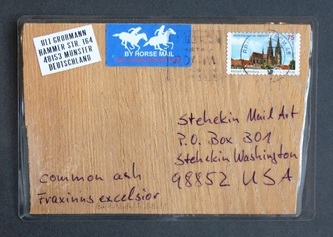 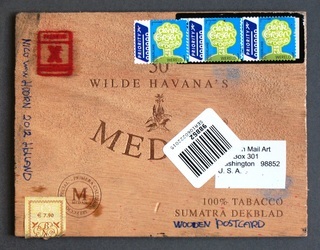 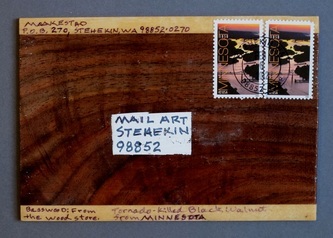 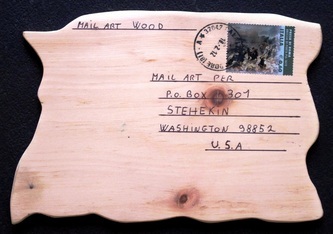 This is the gallery for Wooden Postcards. 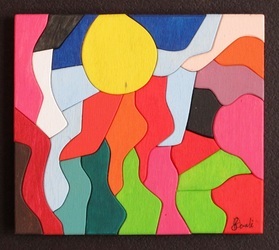 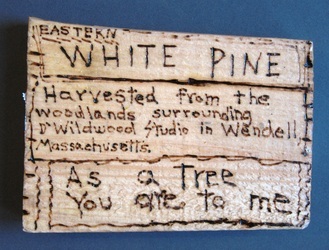 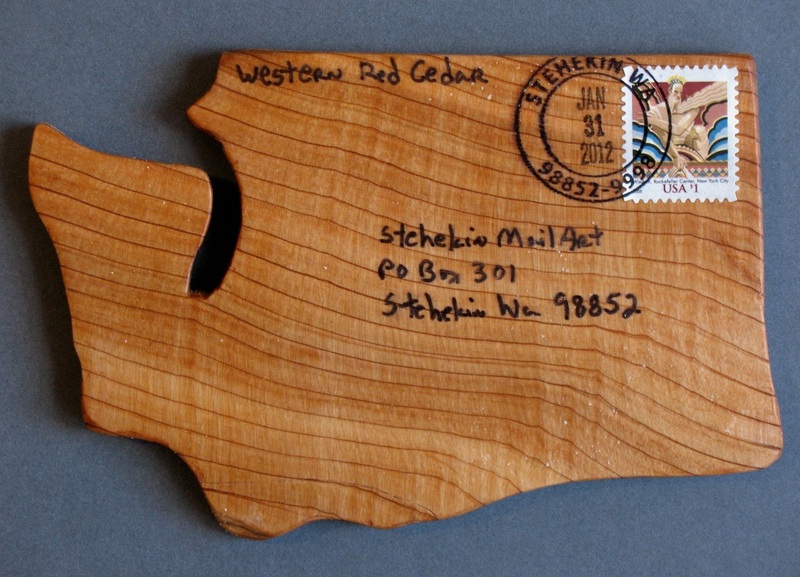 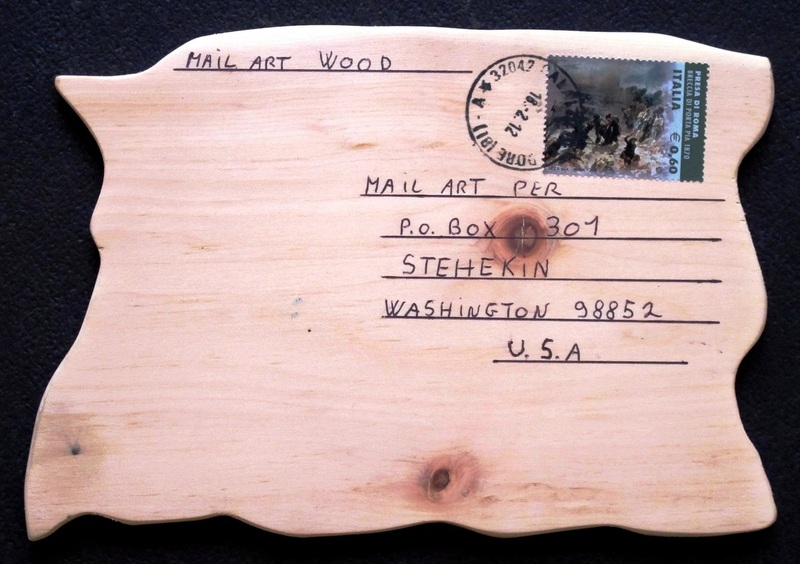 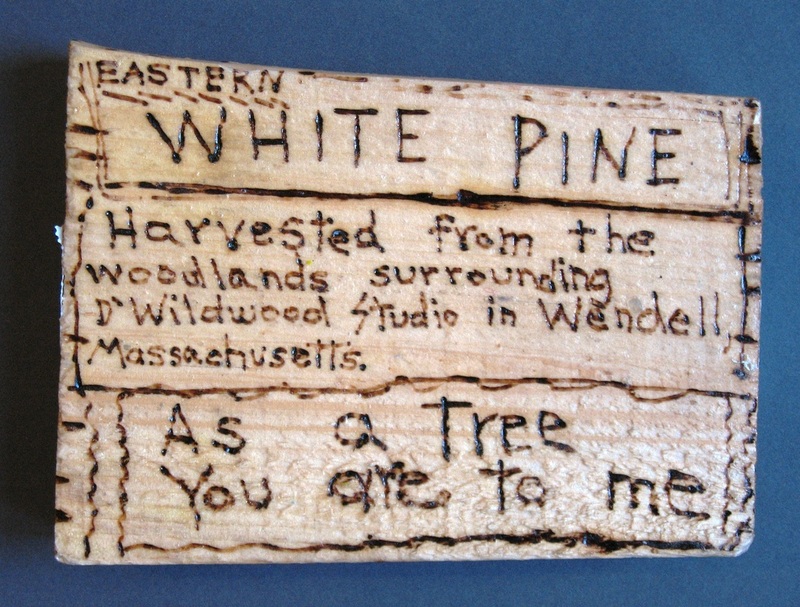 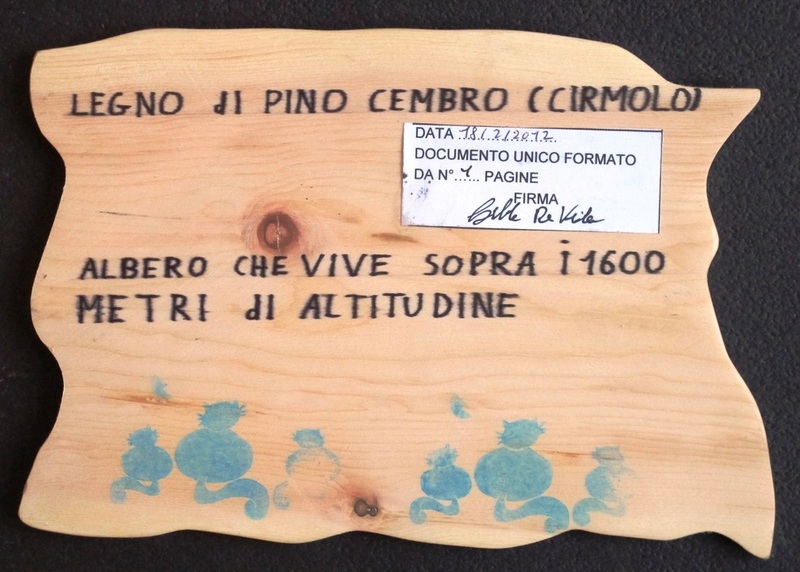 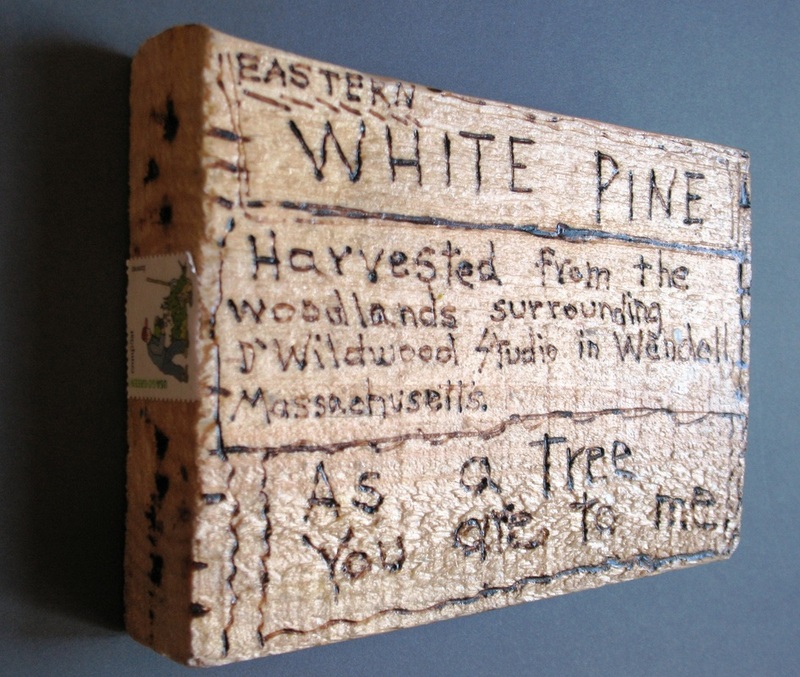 "Wood Art" is a separate gallery for art we're getting that's inspired by wood or trees. 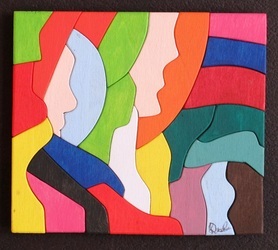 You'll find that page under the 'galleries' sub-heading of the "Winter 2012" tab. 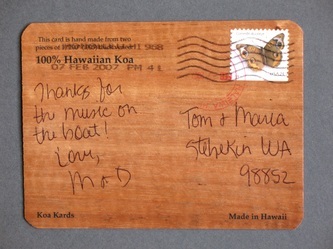 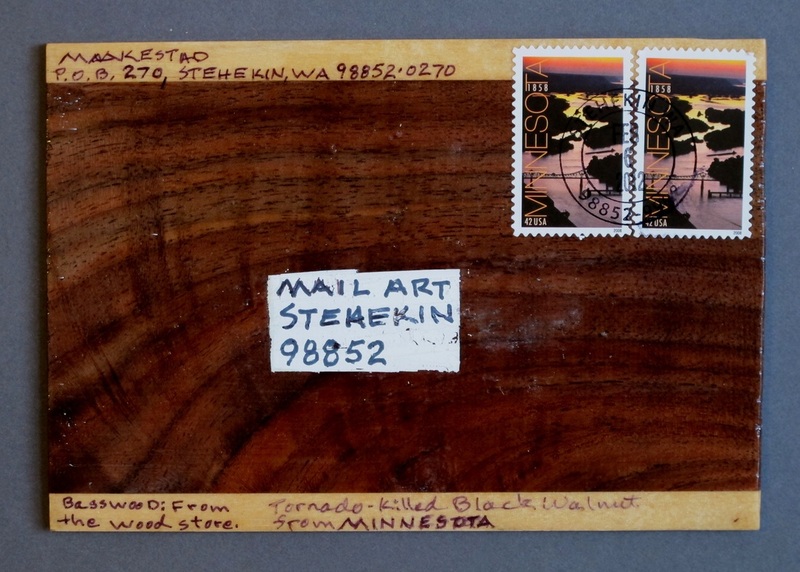 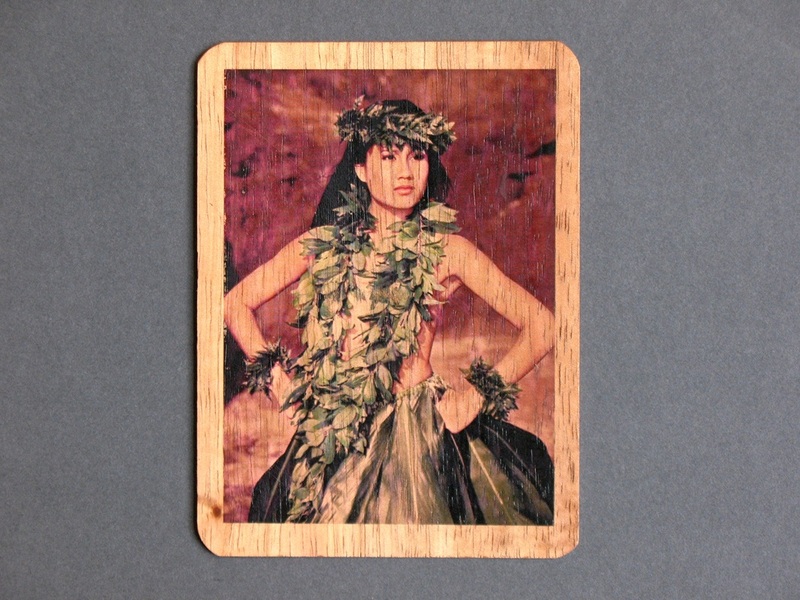 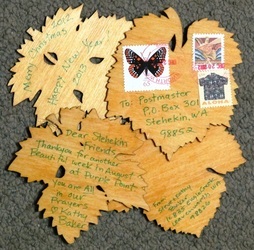 This card from Hawaii was lent to us by Tom and Maria of Stehekin. It's made from two very thin veneers of Koa with a sheet of something, maybe paper, sandwiched between them, all glued together. 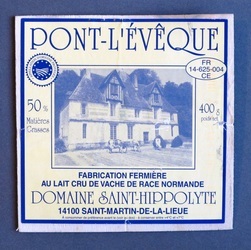 Very light and flexible. 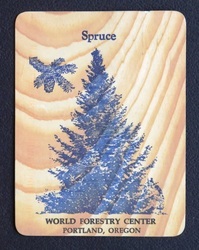 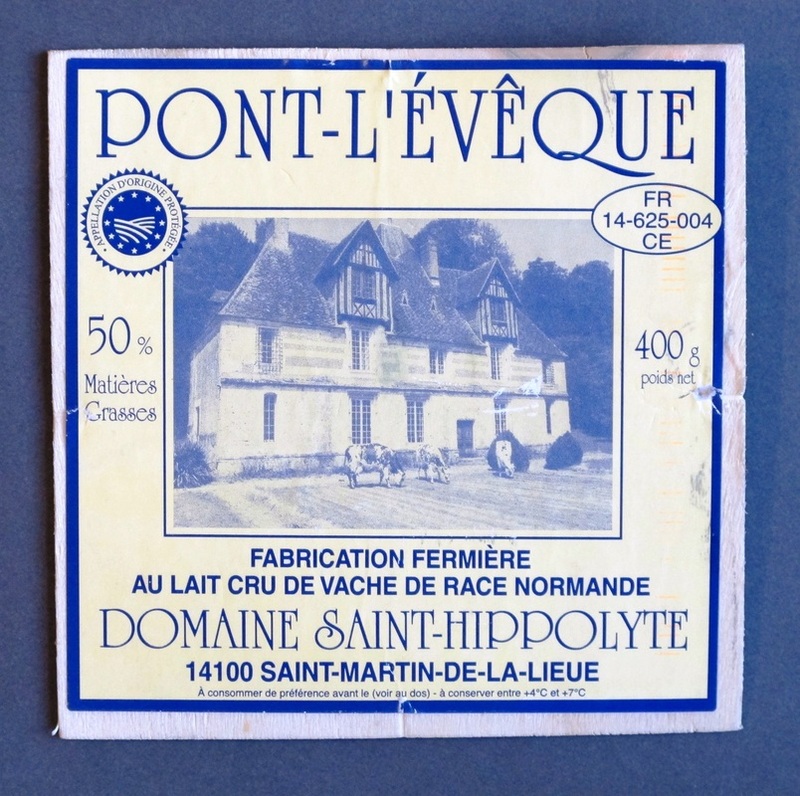 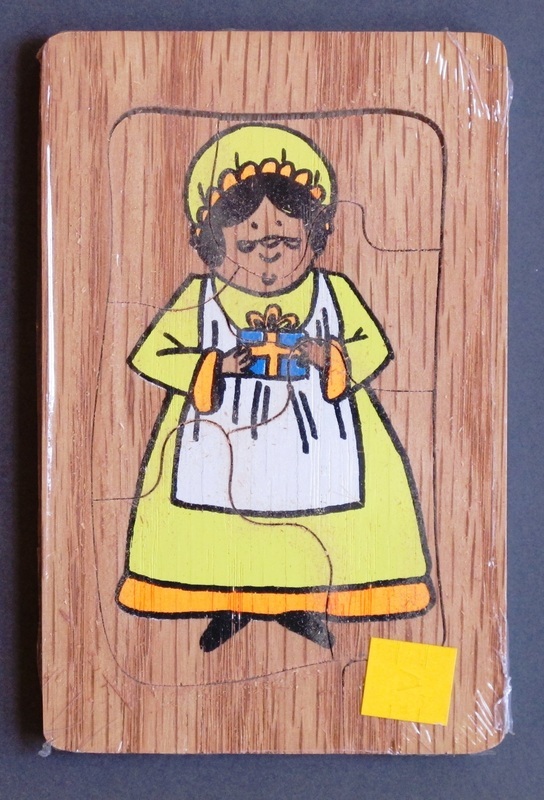 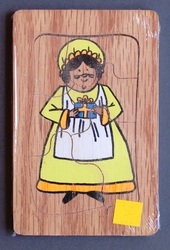 Another commercially produced card. 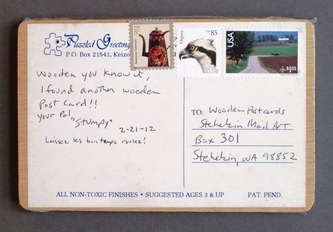 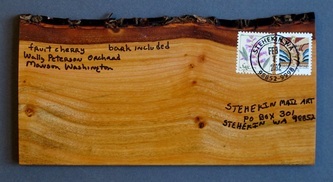 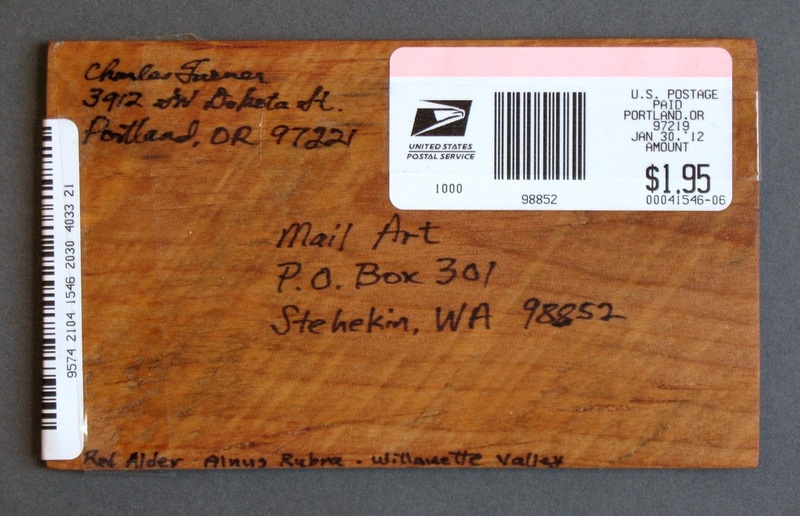 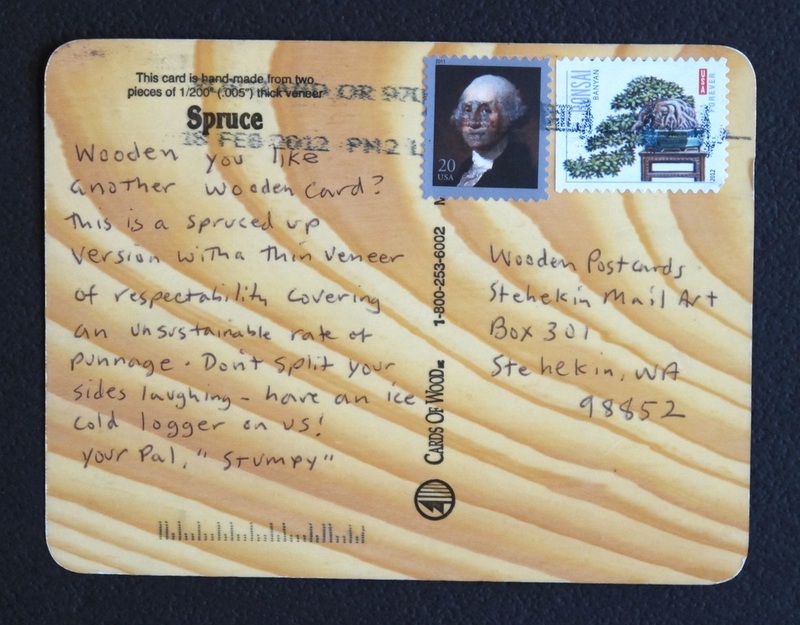 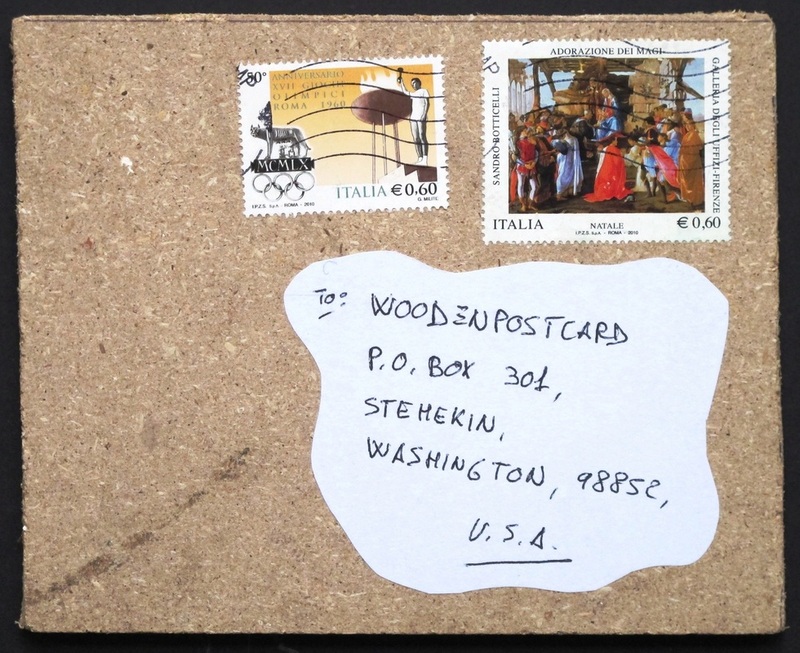 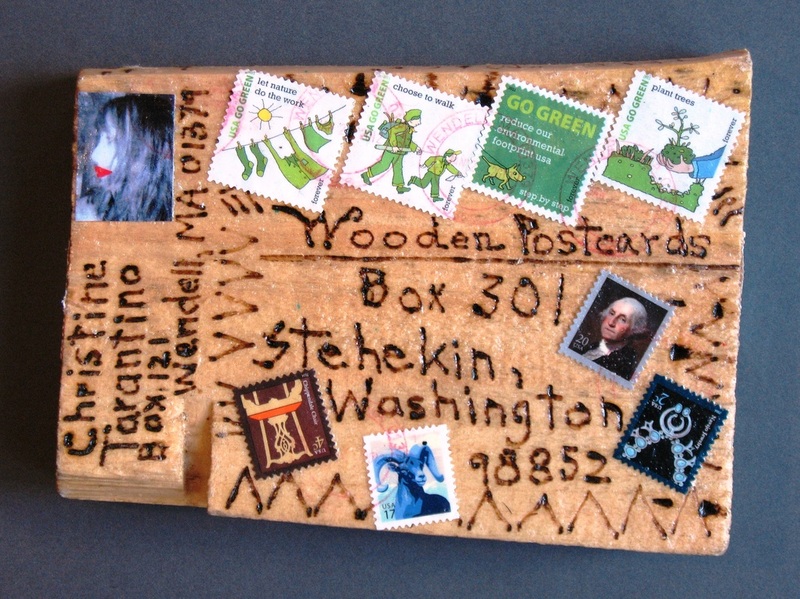 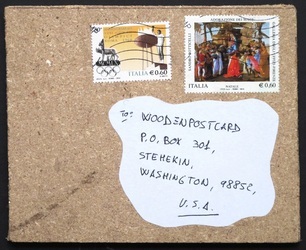 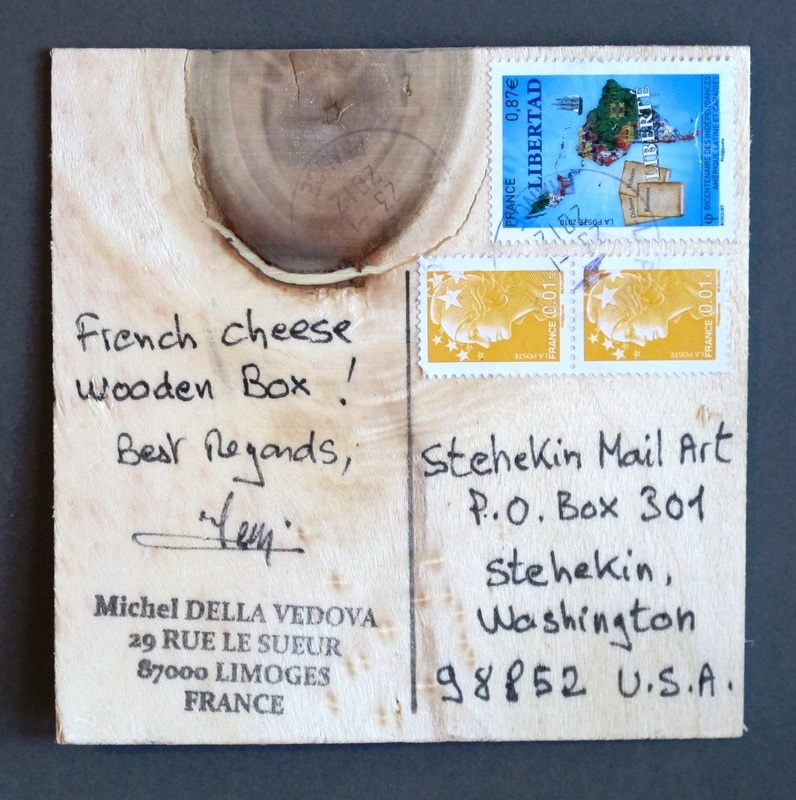 "Stumpy" lives in Portland, Oregon but mailed the card from Davenport, California. The "Stonehenge" depicted on the card is a 1/3rd size concrete 'replica' of the real thing. 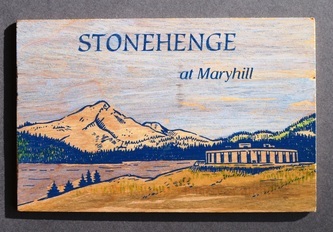 It overlooks the Columbia River at Maryhill, Washington. 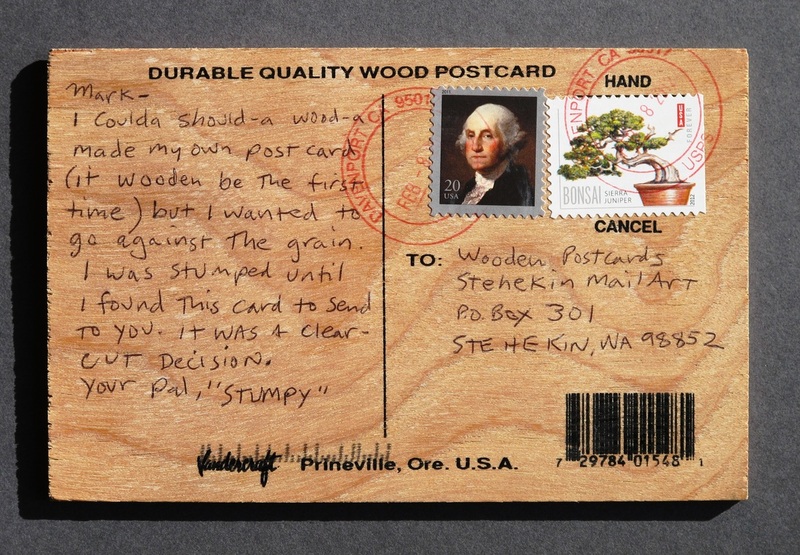 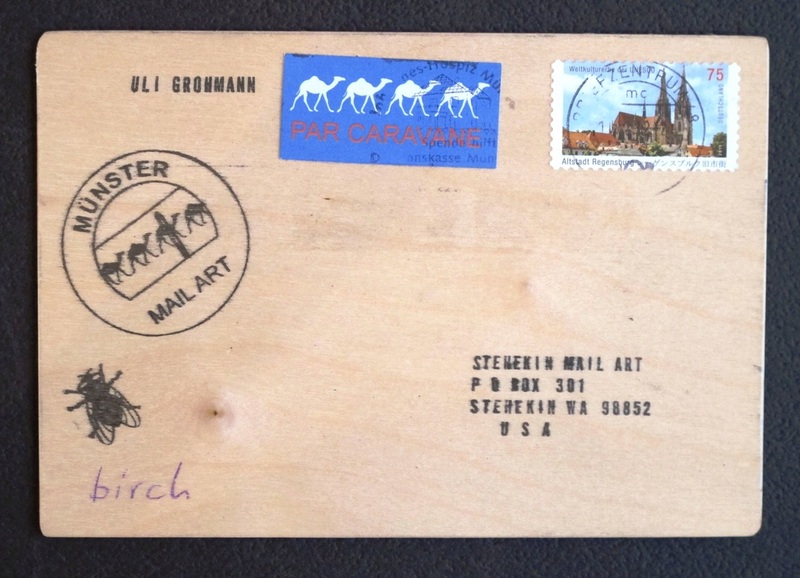 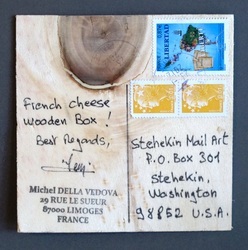 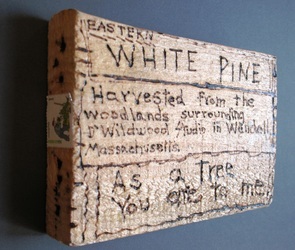 "Stumpy" is on a 'tear' finding wooden postcards everywhere.